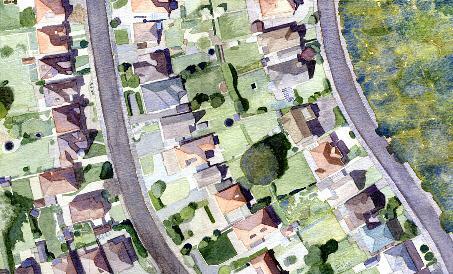 Elanor has developed a style of painting places from above which works well for houses or larger buildings, landmarks and even whole streets. Please look at the examples and let us know if you are interested in commissioning a painting of somewhere that's special to you. Prices will vary depending on the size of the painting required and the area it covers. Examples have been added here.